Unfortunately, no location was found. Question not answered? Please contact the customer service. Social Deal offers a marketplace for exciting deals. Every day we present the most popular and prominent businesses of your region - for an unbeatable price! The offers on Social Deal change on a daily basis and always consist of a deal which you can share with you friends, family of colleagues. Register now and experience a new Social Deal every day! What kind of deals does Social Deal offer? Social Deal introduces the most popular and prominent businesses from your region - and you can get to know them for an unbeatable price (this means at least 50% discount)! You will only be able to buy the deal for a short period of time but you will have enough time to redeem your voucher (usually 3 months). That way you can easily get to know the latest hotspots in your city: Experience a new adventure every day. How long do I have to buy a deal? All deals are only available for a limited time. You can of course always track the amount of time left. You find a clock that indicates when the deal closes on the main page under the heading 'time left'. After you purchased a deal we give you enough time to redeem your Social Deal at the local business. The expiration date can be found on the deal website and the voucher itself. Are the prices shown on the website VAT included? Yes, all the prices shown on our website are including VAT. What payment options are available at Social Deal? Well ... To assure yourself of that nice deal you will also have pay. You can pay with us with iDeal, PayPal, Credit Card, Mister Cash and SOFORT Überweisung. You never pay transaction costs to Social Deal. Should exceptionally there be other additional costs this will always be clearly mentioned in the "big small letters" at that deal. Will there be any other expenses after I purchased my voucher(s)? The prices you see on our website are the prices you pay for the vouchers you buy from us. This is the amount you pay us and will not be subjected to any extra costs. It is possible however, that there will be extra expenses when you redeem your voucher. These could be costs such as a delivery charge or a supplement you will have to pay for some selected dishes on a menu. These costs will have to be paid to the provider of the deal and are always stated in the terms and conditions (the fine print) of the deal. How do I purchase a Social Deal? Is the Social Deal of the day the one you always dreamed of? Click the Buy! button before the offer ends and follow the directions to enter your payment information. Can I give a Social Deal as a gift? Social Deals can be given away as gifts to anyone - decide between the diverse and original offers and surprise someone with the perfect gift! You can download and print your vouchers in your account under My vouchers. There are two ways to print the voucher. If you press the gift icon it allows you print the voucher as a gift: The receiver will only see the value of the voucher, but not the amount for which you bought it. How do I get my deal for free? Sharing is Caring! Social Deal offers are made for experiencing them together. Share the Deal via Social Media. Three of your friends bought the deal via your link? Your deal will be free! Where do I find my vouchers? You can download and print your vouchers from every computer. Just login on your account and you can find them under My vouchers. That way you always have access to your vouchers and can easily enjoy your next Social Deal experience! Don´t worry, sometimes it takes up to 20 minutes until we proceeded your order. After this time the voucher will be displayed under My vouchers. You have waited 20 minutes and the vouchers still don´t appear? Please contact our customer service. How do I print my vouchers? You purchased a deal and are about to meet a popular business in your city. The only thing you still need to do is print your voucher. We wish you a pleasent experience! Can I pay via a direct debit system? Yes, it is possible to pay via a direct debit system. If you approve, we can book the money from your PayPal or creditcard account. The booking takes place 6 - 10 days after you placed the order. How do I receive the ambassador bonus? You can earn €5,- credit if you recommend us. 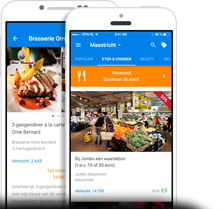 If a friend registers on our website because of your recommendation and buys his first deal you receive €5,- as a thank you. 2. Klick on "my vouchers"
Can I cancel my vouchers? We offer a right to return within 14 days. If you declare that you don't want the vouchers within this period, we cancel the order for you and you receive the worth of the voucher as credit for social deal. This credit is valid unlimited and can be used for every offer on our website. Is the deal valid for one or more persons? By default the deals are valid for one person, unless it is explicitly stated that the deal is valid for more than one person. Are you for example planning to go out for dinner together, then buy two or more vouchers. We are open 7 days a week via phone, mail, chat, WhatsApp or Facebook. We solve all the love your complaint and usually respond within 24 hours and our telephone waiting time is almost always less than 30 seconds. We always respond within 2 business days. 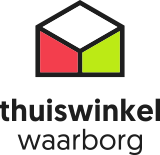 If you still are not helped to your liking, you can submit your complaint to the Adjudication Committee of Thuiswinkel. You can also submit it to the disputes committee of the European ODR platform. How do I create a Social Deal account? Just click Login / Sign Up in the top right corner to create a free account. We will ask you for your name and email address and to create a password. We will send you an email with a registration link. Follow the link and your account will be activated. Alternatively you can also log in with your facebook or Google+ Account. Head to www.socialdeal.nl and click Login in the upper right corner. If you're already signed in, you'll see your name in the top right corner. If not, you can fill in your email adres and password. Subsequent you click on login and voilá - you are logged in! You can easily reset your password. Click Forgot your password? on the sign-in page. Enter the email address associated with your account and click Request. Make sure to wait a few minutes for the email with the reset password link to arrive. Also, make sure to check your Spam folder if you did not receive the email after 30 minutes. How do I subscribe to Social Deal emails? First, check your email spam folder. If our emails are ending up there, add us to your address book or safe sender list so our emails get to your inbox. Otherwise check you E-Mail subscription, if you are unsubsrcibed you can sign up again here. Tried everything and nothing helped? Contact us and we will help you further! How can I unsubscribe from daily emails? Remember to drop by every once in a while to check out our latest offers. How do I make a reservation via the reservation tool? Sometimes you can make a reservation via the Social Deal reservation tool. You can find this tool under "my vouchers" after you logged in. 6. Klick on "make reservation"
How do I redeem a coupon for social deal credit? 3. Klick on "Redeem coupon"
4. Enter the code and klick on "Redeem coupon"
Please keep in mind: You can only redeem one coupon per IP adres. Furthermore you can only redeem the code via our website and not via the app or the mobile website.  Every day a new deal? Every day you'll find a unique deal from a nice company in Zeeland. Buy the deal and enjoy! Redeem your voucher within 3 to 5 months. Spread the Deal on your social network. If 3 friends buy the same deal, then your voucher is for free! Social Deal has a lot to offer for your business. Do you want to share a cup of coffee? We will contact you within two days.